… We successfully launched Creative Suite 5.5, an update to the CS5 product family. The release features enhancements for mobile content and application creation, new innovations for HTML5 and Flash authoring, and amazing new features and produc­tivity improvements in our video authoring solutions. CS5.5 is the first release in our transition to an annual release cycle, enabling us to deliver content creation innovations to our customers more frequently in response to the rapidly evolving marketplace. Looking forward, expect this type of innovation to continue. We intend to ship the next milestone release of Creative Suite in 2012, and it will include an updated version of Photoshop. Okay – that’s very good to know, helps reduce on the guessing – but when exactly next year will CS6 (or whatever the next major version of Creative Suite is called) be planned? As far as the annual release cycles for CS, should we expect that the timing is going to be kind of consistent during one time of the year – like we’ll see CS every year in the April-May timeframe, or will it be kind of variable each year? With annual releases, we’re still very focused right now on 5.5 and … continuing to drive through that cycle until we release the next version. But I think it is fair to say that when we go to an annual release, the cadence will be about the same quarter because that’s what really enables us even with enterprises to get to be far more of an annual release cycle and have maintenance be a more meaningful part of the business. As you move to more of an annual cycle, will we see a condensation of when the languages roll out? Yes, so as we did with CS5 itself, we are moving to a more consistent release schedule where all major languages are released at the same time. The reality is, we’re in a global world and so the day we announced the product, the interest – whether it’s in North America, whether it’s in another part of the world – is consistent. So yes, expect to see us do simultaneous releases of all major languages moving forward. But what’s this about a new release of Photoshop, features for the next version – what’s going to be in Photoshop CS6? And I think people are looking forward … to the next release as well, because there’s a significant anticipation that’s being built up for all the cool things that we can do in imaging with Photoshop – and there’s a lot of exciting stuff underway. Bottom line, knowing the future release schedule takes a lot of uncertainty out of the process… There’s always another release coming at some point, but now we know when. Historically, there have been folks who have held off buying Adobe software because they weren’t sure if that next version was “right around the corner” – where they would feel sheepish if they purchased just before that event. But now, knowing the release windows, you know what to expect – and can make an educated and informed purchase. We commend Adobe for changing their policy and making this information more public. Question… I’m a n00b when it comes to Adobe CS products, but if I buy CS5.5 will I need to pay full price for CS6? Or will it be an upgrade price? Thanks! We can’t know yet what those costs will be exactly. But historically, the reductions have been large – for example, upgraders to CS5.5 Design Premium today who already own CS5 pay only ~20% of the cost of a full version of CS5.5. And this is less than what it cost to move from CS4 to CS5 Design Premium, which was ~32% of the full price. What they are trying to do is help keep folks on the current versions, by charging a smaller amount – and this is consistent with their tiered upgrade pricing policy, where the further back one is, the larger the cost to upgrade to the latest version. If you do the math, the customer who upgrades every year pays about 10% more for the benefit and productivity of always having the newest version and features, and best performance, versus the customer who upgrades every two years. See the complete price list for Adobe CS5.5 in major countries and currencies. Will CS3 owners be eligible for upgrade pricing to CS6? It would be consistent with the last couple of versions if so (i.e. CS -> CS4, and CS2 -> CS5 being possible), but I’m wondering whether Adobe has changed this policy (or is considering changing it). Thanks very much! So right now, the oldest release that can still qualify for this reduced pricing is CS2 (going up to CS5.5). Now whether they change that policy for CS6 is uncertain… As you point out, it’s been that way for a few years, so it may continue – but it might not. No one could tell you for sure until CS6 comes out. This is because the price to move from CS4 to CS5 was significantly greater than the current “half-step” cost now to move from CS5 to CS5.5, and Adobe wants to help incentivize people to keep current with the latest releases. Hopefully this helps sort it out a bit. I’m concerned about the pricing. I currently own CS5 Master Collection and I’m worried that the major upgrade to CS6 will cost me more than if I upgrade to CS5.5. Will there be a heavily-reduced discount price for those who upgrade with major release cycles? – To upgrade from CS4 Design Premium to CS5 cost $599. – To upgrade from CS5 Design Premium to CS5.5 costs $399. So to go a “half step” costs a little more than half as much than to go a full step. That makes sense because Adobe has some extra expenses for issuing and managing the mid-cycle release. And people who buy the software now benefit by getting a more current version than CS5.0 was (from April 2010). So what this hints to us is that an upgrade from CS5.5 to CS6 would be likely to also cost $399, and probably no more than that because Adobe wants to incentivize people to stay as current as possible with the latest-and-greatest releases. Bottom line: In our analysis going from CS5 to CS6 directly would cost $599, while upgrading from CS5 to CS5.5 and then later on to CS6 would pay a slight premium over that of $198, for the privilege of always having the best new features, speed, and productivity. Does Adobe have a student upgrade price? I am just starting my college classes on the Adobe suites and when considering purchasing the Master Suite for Students, I am seriously having to weigh whether I should buy it now or wait until the release of CS6, as I will need it for at least 3 years while in college. What is Adobe doing, if anything, to move towards catering to student needs during these hard economic times? What’s the Difference between the Adobe Student & Teacher Editions vs. Regular? I’ve heard that CS6 will need the i7 chip in Macs. Most of them only have an i5 chip. Do you know if there is any basis to this? Hello Tim, thanks for your comment. Just got back from Adobe MAX in L.A. but didn’t hear anything like that. You have to be careful about what you hear on rumors about CS6 – there’s always a lot of stuff flying around about the next releases, but Adobe rarely says much of anything on specifics so typically little of it is true. Just think about it from the other side – it wouldn’t really be in the company’s best interests to have such high hardware requirements that would rule out most existing computers. Also, there are many applications contained within the Creative Suite and the system requirements are different for each and every one of them, so really there is no single same minimum for all products. I find that most companies are not on CS5 yet. It took me a few years to upgrade from CS1. Adobe assuming that the majority of their customers will upgrade yearly is very impertinent. Basically, Adobe is creating yearly revenue instead of providing innovations. 5.5 is a perfect example. The differences between 5.0 is not worth the $399 price tag to upgrade. I still work on CS1, because no one I work with is on CS5 yet and some of CS5 is not backward compatible. Most are not willing to upgrade because they don’t see the need. Greetings Alberto, thank you for your thoughts. Everybody’s needs are different, and each according to their needs. There’s a lot of variability out there, so your experience is bound to be unique. Most of the people and companies we know are actually already on CS5 or CS5.5, a handful still on CS4/CS3. In nearly three years of our site’s existence and thousands of visitor comments, you’re the first we’ve ever heard still running CS1, so in our experience that’s unusual. In any event, there actually are quite a few significant new features in CS5.5 versus CS5, just not in all products. So, your mileage may vary depending on which ones you use and how much time it would (or wouldn’t) save you to upgrade. In our case, it pays for itself based solely on the use of Dreamweaver and the video applications (AE and Premiere). And for folks buying new full copies here, they’re getting a fresher product for the same price with CS5.5, than if CS5 were still the most recent release. Lastly, as for what innovations will be in CS6 – nobody can say for sure yet, although there are some new “sneak peek” videos out for Photoshop, as well as for InDesign, and several other tools. Thanks for your feedback and please stop back anytime. Hi, in April 2011 I purchased an upgrade of InDesign CS3 to CS5. Since it was right before the release of the CS5.5, does that mean I’m eligible for a free upgrade to CS5.5? I do not have the whole CS suite, just Adobe InDesign and an older PhotoShop (CS2), which I plan to upgrade when CS6 is released. Do I Qualify for a Free Upgrade to Adobe CS5.5? Is there any word yet on what will be in CS6, like what new features, etc? So, we’ll see! Thanks for asking. Hi again, I asked a question on October 21st concerning a free upgrade to InDesign 5.5. I now received the information that the Adobe PAU (post-announce upgrade policy) is no longer available or has expired?? I have no idea what Adobe is talking about. If I had known there was a PAU and for how long it lasted – I would definitely have contacted Adobe sooner, but I didn’t, just like I didn’t know Adobe was going to release a CS5.5 version just after I purchased CS5. Hi Anne, sorry to hear that – we weren’t aware of it. Some have said that Adobe should make the grace period for complimentary upgrades longer, or publicize it more, and we have pushed for that. Hopefully that will happen in the future. In the meantime, you can communicate your feedback with the Customer Service department in your area. We also recommend staying tuned to our site here – as you see from article above, we try to “handicap” the timing of all coming Adobe releases! See the upper right of the page for how to subscribe. Hi, I’m a recent design graduate. At the time of my studies I bought a student edition of CS4 Master Collection. I’ll be very interested in upgrading to a full professional version of CS6 Master Collection in the new year as my career develops. My question is, when I purchase CS6 can I avail of an upgrade price (moving from student CS4 to pro CS6)? Or do I need to purchase a ‘Full Version’ of CS6? Great question James, and if Adobe keeps their current policy when CS6 comes out, then you would be able to qualify for the discounted upgrade pricing to go from CS4 to CS6. That’s one of the great advantages of the Student Editions actually, that you can upgrade from them to full commercial versions at Adobe’s discounted price – the same price that regular (pro) owners get. The one caveat is we can’t be sure what the policies will look like when CS6 ships, or whether Adobe will change them from what is offered for CS5, but that’s how it works currently with CS5.5. Any idea what the computer requirements will be for CS6? I am looking to buy a new computer this winter, and want to make sure that it is CS6-ready. Thanks. Your best bet would be to study the minimum technical specifications for CS5.5, and make sure you healthily exceed those be safe. What is the mass difference between the CS5.5 and the CS6.5 ? Creative Suite 5.5 is the latest version (launched in May of this year) and what we can tell you is how CS5.5 compares to CS5, as well as all the differences between CS5.5 vs. CS5, CS4, and CS3. Not going to happen, Only a small percentage of mac users have an i7 processor. Most notebook users have a core 2 duo or i3, iMac usually have i3-i7. Adobe would be throwing away more than 50% of the money they would make if it was only i7. I am looking to buy CS 5.5 by download. will I be able to upgrade to CS 6 when it comes up? In fact, Adobe recently announced a change to their Upgrade Policy so that only owners of CS5 or CS5.5 will be able to qualify for that lower upgrade pricing for CS6. Lastly, if doesn’t matter whether you purchase it via instant download or shrinkwrapped boxed – your license and rights are the same. Will the upgrade pricing from CS5 to CS6 differ from the upgrade price from CS 5.5 to CS6? Great follow-up question Lucas. We can’t say for sure yet as Adobe has not announced upgrade pricing for CS6 – we’re still a good ways away yet, and typically they don’t give that until the product is released. Blah, I think I need to pay more attention I nearly screwed up as I was waiting for CS6 to come out to upgrade, however now I will be upgrading (ok I have upgraded in the middle of typing this) to 5.5 from CS4 (Web Premium). Greetings Brian, thanks for your thoughts. When you say, “you’re not a student yet,” curious what you meant by that? Did you mean to say you’re not a student anymore? Because pretty much all students of various ages are potentially eligible to buy Adobe’s Student Editions, if that hasn’t been clear. You don’t have to be in college or university. However, because you can’t upgrade between student editions, the price to buy a whole new education version vs. just upgrading what you already have at the regularly discounted upgrade price (what you just did) is usually not a big difference in cost. I have CS3 … I want to download CS5.5 … should I wait for CS6? Well Ren, nobody can tell you what features will be in CS6 yet, or what the product pricing will be, as Adobe has not announced those things. All they’ve shown is some sneak peek videos of features that may or may not make it into future products. We do know now that the two new products Adobe Edge and Adobe Muse will not be part of CS6, and available via subscription only. However, regarding the ability to upgrade from CS3 to a more recent version: were you aware of Adobe’s recent announcement of important changes in the upgrade policy for CS6? If not, you may want to take a look at it. Hi, what is the typical window for getting a free upgrade to the newest version? I am starting a Photoshop for Photographers course at a local college, which entitles me to buy software at student prices at the College computer store. Do you think we are close enough to the release of CS6 that if I buy CS5.5 now I would be eligible for a free upgrade? Also, would this be impacted, do you think, by the fact that it would be a student version I would own? Welcome Mike – typically in the past it’s been a few weeks, like with the grace period for CS5.5… And yes, the student editions were covered just like the regular ones. However there is no guarantee that Adobe will continue to offer the grace period in the future… It does make good sense, but each time it’s decided differently by the company – and we can’t say what they will do. But importantly, note that with their current Refund & Return Policy you can (in effect) create your own grace period for a free upgrade within 30 days for any product you buy – which is pretty cool. 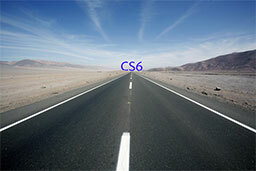 As far as how close we are to the release of CS6 – nobody can tell you that for certain, but it’s very probably going to be more like a few months rather than a few weeks. Thank you for posting this ProDesign. I have a copy of CS4 and was so close to upgrading to 5.5 due to all the coupons Adobe has been sending me. I’ll wait another 4 months (hopefully) for CS6 to come out. I also hope they include Edge with CS6. That would be supreme for us non-developers that need to use JQuery for animation since mobile Flash is gone. You bet Mike – although note the last word we got on Adobe Edge was that it wasn’t planned to be included in the Creative Suite. Will CS6 for MAC be compatible with Snow Leopard or will I have to Upgrade to Lion? Hey there Bobby, thanks for your question. Adobe has not released any CS6 system requirements yet, so we can really only speculate… But it seems unlikely that they would only support the absolute latest release of Mac OS. Probably most folks are still on earlier versions than Lion, so it wouldn’t make sense to leave out that huge customer base. Also, if you look at the current CS5 system requirements, you’ll see that Adobe supports the two or three most recent releases. So, we think you’ll be fine with running CS6 on Snow Leopard. Will there be a student/teacher edition for the new cs6? For a more in-depth answer, please see these comments from Moe and response. Wow Tim, really surprised to hear you say that, on all fronts… The upgrades from Photoshop CS5 to CS6 alone are pretty impressive, and even more so going from CS4 to CS6. Also, you can usually open newer files on older versions, for most Adobe programs. Good luck.